Here at Lucky Bansko SPA & Relax – a luxurious hotel in the Bansko resort, we have two attractions that have become one of the top entertainment destinations in the town. 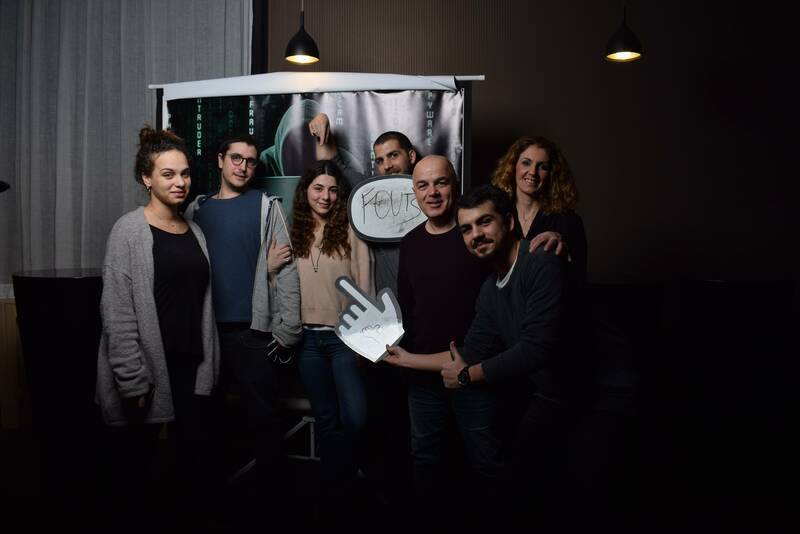 These are our escape rooms – you can choose between “Hacker” and “Egypt”, with many of the teams playing out both rooms. Visitors include people of different ages, even generations with various professions. The rooms are visited both by families and by groups of friends that have come here to raise their adrenaline and to relax from the everyday life in a very interesting way. We also have a lot of companies that use the rooms for teambuilding events to enhance the bond between their employees. The number of visitors of “Egypt”, as well as “Hacker” is extremely high, because they attract not only guest of the hotel and visitors of the town – many people are coming down here specially to experience the adventures offered in the rooms. 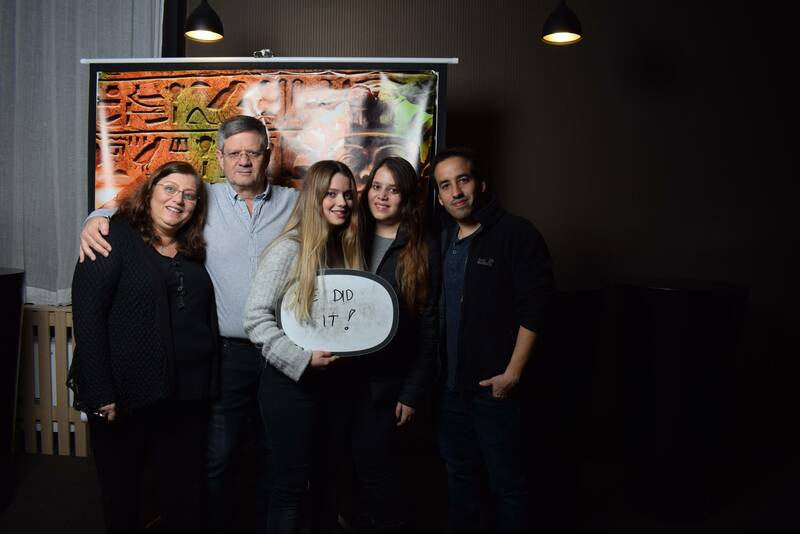 As it is well known, there already are a lot of mystery rooms lovers in Bulgaria and even groups that make rankings – they are doing tours around the country to play out the escape rooms and rank them by their complexity, fun, etc. All this explains why the weekends are extremely busy time for the escape rooms of Lucky Bansko SPA & Relax, which is why a reservation must be made at least a week earlier. To make weekdays reservations more attractive and increase the weekend availability, the game managers of both rooms offer price discount during the week – 20% on Mondays, Tuesdays and Wednesdays. One of the special features of the escape rooms that attract so many people is the opportunity to physically experience the adventure. Players maintain actual contact among them in a realistic environment and have to react to the actual development of events in their surroundings. Together, they overcome obstacles by solving riddles after being given actual clues. More than that, they are not only participating together, but are co-dependent, each player’s reactions are important. In order to recreate the environment, riddles and mysteries, the organizers rely also on some high-tech assistance. The players however are completely detached from the digital world that has taken over our everyday life at the expense of real communication. As it is with all escape rooms, no preliminary information is disclosed regarding the storyline of the escape rooms “Egypt” and “Hacker” offered by Lucky Bansko SPA & Relax. It is only understandable – after all the designed adventures are a trade secrets and disclosing them would ruin the element of surprise. Still, what can be said about “Egypt”? Well, it is the first escape room in Bulgaria, suitable not only for adults, but also for children at the age between 6 and 12. This makes it extremely attractive for family fun of young families with kids that have not yet or soon will be enrolled to school. The teams, and this applies to “Hacker” as well, are two with up to 6 members. The adventures of “Egypt” take them to the ancient world of pyramids with extremely realistic environment. These adventures are full of mysteries and riddles reminiscing of different movies – not just action blockbusters, but also documentaries about the history of Egypt, but still unique. It must also be noted that there is no need of any historical knowledge about Egypt, the pyramids or the pharaohs, or any special strength and skills. Everything needed for “reading” of the clues and solving the riddles is observation, logic and fast and combinatorial thinking. The team play attitude is also very important because each detail matters and by discovering that detail any player from the team may play a key part for the unveiling of the mystery and the success of the team. That is what makes the room very suitable for teambuilding events – in such informal setting the company team may bond while solving interesting problems. Sometimes in such situations players display qualities that cannot be seen in the formal work setting. Generally speaking, the team is locked in the room, facing a series of surprises and problems to solve with one hour to find the exit and get out. The experience is fascinating without being scary – as we said before, the room is suitable for children as well. Moreover, the organizers have video observation on the developments in the room and in case any of the players or the entire team decides to stop the game, the room is immediately unlocked. However, this happens very rarely – not just here, but globally as well, because teams play with enthusiasm and an urge to win right until the end. These entertainment and fun principles apply 100% for the “Hacker” room as well, only the setting and the adventures are different. The locked players must “become” hackers and outsmart the “Master Hacker”. They have one hour to figure out his methods and plan, and to stop him. There is no need to explain that no computer skills are required, just logic, combinatory thinking, observation and team play. The room is suitable for adults and children above the age of 8. “Egypt” and “Hacker” are very easy to find in Lucky Bansko SPA & Relax – just enter the hotel, take the elevator one floor down and you will enter the “Kingdom of Mysteries”. The hotel itself is also located very conveniently – only 450 m from the centre of the resort town. Reservations can be made at any time online on the rooms’ website. You must choose between Room “Hacker” and Room “Egypt”. There are calendars with dates and hour slots for the current and the next week. You select date and time, fill in your name, telephone number, the number of players and communication language; after that you confirm your request. The working hours of the escape rooms are between 3 p.m. and 10 p.m., but there are options for reservation earlier in the day if you make a request in advance. Teams must be in front of the rooms 15 minutes prior to their reservation for questions and instructions, and to use the restrooms if necessary. After they enter, the room is locked, and the game begins. Taking photos is not allowed in the rooms, the memory of the adventure may be saved with photos in the waiting area. Its time to leave the real world outside - two Escape Rooms awaits you at Lucky Bansko Aparthotel. Our idea: To lock you in a room for an hour. Your goal: To escape, relying only on your personal qualities and skills. We offer two themed rooms, the choisie - we leave it for you! 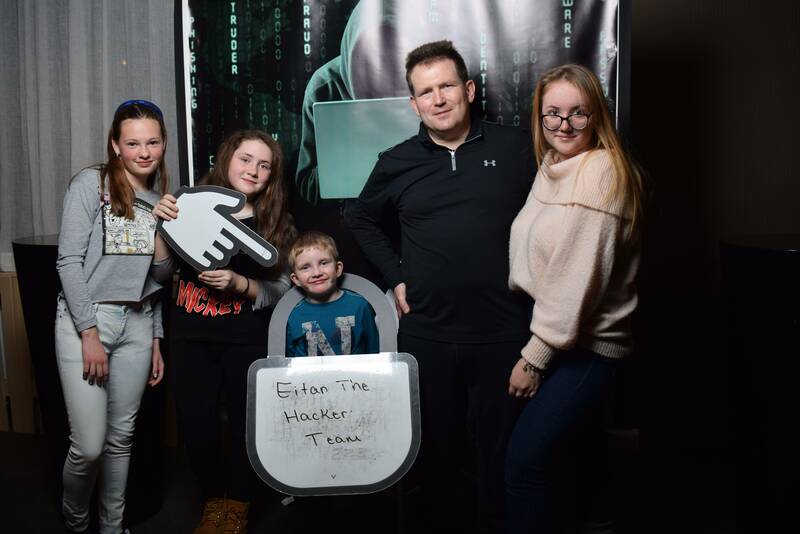 Room "Hacker" - come and try to outsmart the system, as a true hacker, and escape for 60 minutes. Suitable for children over 8 years and adults. Room "Egypt" - immerse yourself in the atmosphere of ancient Egypt. You can expect pharaohs, ancient symbols and many mysteries. This room is suitable not only for adults but also for smaller children 6 to 12 years and is the first of its kind in Bulgaria. Gather a team of 2 to 6 people and come to have some fun! The time you need to spend is just 60 minutes. Upon successful escape small children receive a prize. Everybody gets a photos to remember the adventure of a lifetime. You'll get it in electronic format, sent to your email. Working hours: 15:00 to 22:00 hours. Upon request we can accept teams and at an earlier hour. How to find us: Enter Hotel Lucky Bansko, go downfloor with the elevator - and there are two mysterious Escape Rooms awayting for you! How to book hour: Choose one of our rooms. Choose a suitable for you time slot from our calendar. Fill out your data and participants count. Confirm the order from the "Confirm" button.